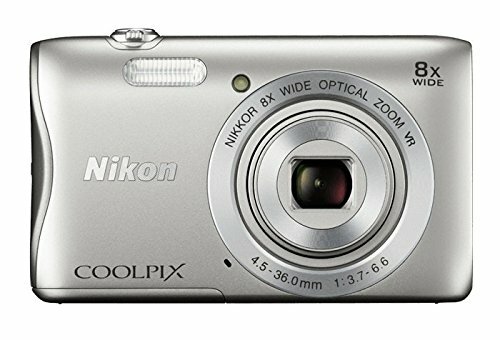 It's hard to believe how much the Nikon Coolpix S3700 Wi-Fi Digital Camera offers. Share exceptional images from the S3700 to a compatible smartphone wirelessly--in a snap, using built-in Wi-Fi and Near Field Communication technology (NFC). Pull the COOLPIX S3700 out of a pocket or purse, zoom in and capture a special moment as a great 20-megapixel photo. Additional features: Vibration Reduction, Scene Auto Selector, Smart Portrait System, Target Finding AF, 720P HD Video, plus more!